Erik Dyce has spent nearly 25 years laying the groundwork and building the momentum that has helped earned the City of Denver its reputation as a cultural mecca. Known to many as “Mr. 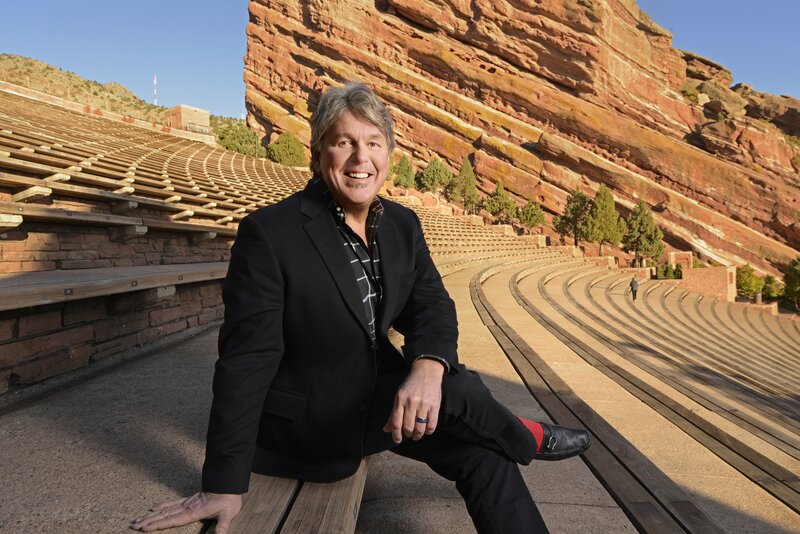 Red Rocks”, Erik recently retired as the chief marketing officer of the City and County of Denver’s Arts and Venues division, which owns and operates eight other venues in addition to Red Rocks Amphitheater. He oversaw marketing and sponsorships for the venues’ 1,300 events, which drew in excess of four million people annually. Erik’s innovative approach to marketing opportunities has helped Denver’s venues, and multiple others across the country create revenue streams worth millions of dollars simply by uncovering hidden assets. Facilities manager for Red Rocks Amphitheatre and McNichols Sports Arena (home of the Denver Nuggets and Colorado Avalanche). President of Vencore, LLC, consulting with venue and entertainment industries. CEO of a start-up online marketing portal, inDemand Band for the music industry. Owner/Pilot for air tour event company. Adjunct professor at University of Colorado and Johnson & Wales University. Past Chairman of Colorado Outward Bound School. Past Chair of the Denver Gyro Club. Manager of the State of Colorado Emergency Operations Center Communications Support Group. Board Member of the Colorado Music Hall of Fame. Past Board Member of the Phoenix Project. Vice Commodore of the Dillon Yacht Club. Member of the Colorado Tourism Office’s promotions committee. Production of the nationally distributed “Carved In Stone” CD series. The DVD “Live & On The Rocks” and two television specials on Red Rocks. Publication of souvenir books on Red Rocks, SHOWTIME and on the Denver Performing Arts Complex.